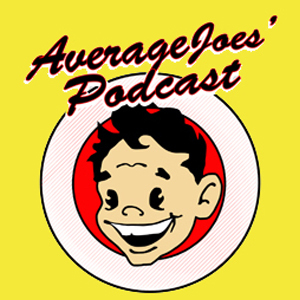 A preview of the 2016 Michigan Dodgeball Cup, as well as touching on the All Star Game and some Nationals previews. 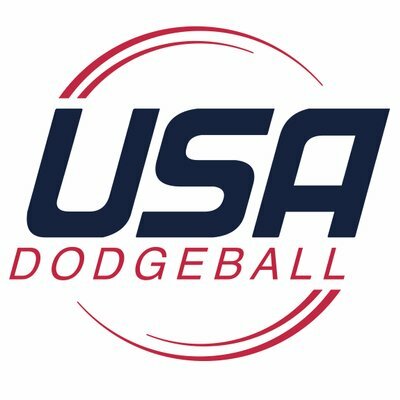 On Feb. 27th, four schools will battle it out in the most anticipated Michigan Dodgeball Cup of all-time. It is no secret that the Michigan Region has been the best region in the country for a long, long time. In fact, the national champion has been a team from the Great Lakes State each of the past nine seasons. In a way, I want to simply state that this season should be no different; as there is a chance the title game features two Michigan schools. 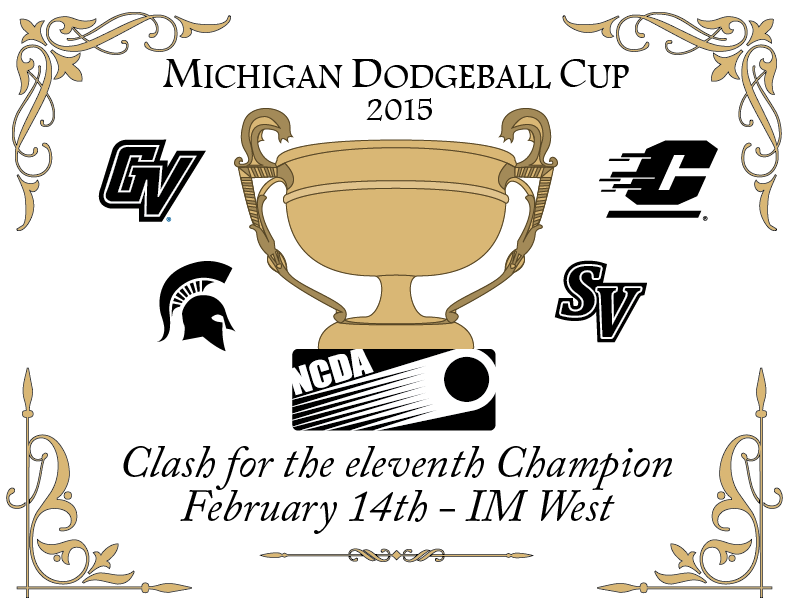 Historically, the Michigan Dodgeball Cup winner enters April as the favorite to win it all. The difference between this season and seasons in the past is that there is an unbelievable level of parity surrounding the NCDA’s top region. The Michigan Dodgeball Cup will take place on Feb. 27, and if you have been following the league at all this season, you know that it is going to be impossible to predict. A team from Michigan has claimed the title of NCDA National Champion eight years in a row. That is an impressive and undeniable fact. Unfortunately, my treasured Spartans have no bearing on that; I, at 29 years of age, was on the squad that achieved Michigan State’s sole Michigan Dodgeball Cup victory, a game played against a community college in a church recreation room. I can still hear the dodgeballs carom off the radiators to the dismay of the building’s staff. Delta College was kind enough to have purchased the MDC Trophy, and in (I think) 2023 an additional base will be attached to the Trophy. The MDC is now regarded as a preview of the NCDA Final Four, much to the dismay of the rest of the league. 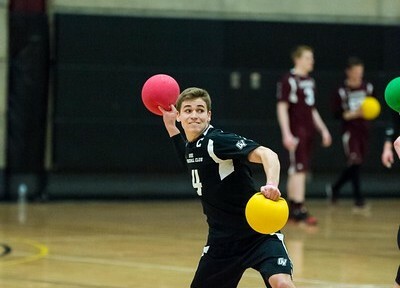 This coming Saturday, two National Collegiate Dodgeball Association tournaments will take place. 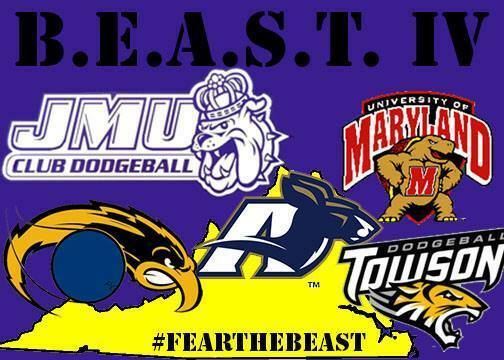 The 11th annual Michigan Dodgeball Cup will be held at Michigan State University, while James Madison University will host their 4th Big East Appalachian Super Tournament (BEAST IV). The Michigan Dodgeball Cup is the premier annual tournament of the Michigan region. Hosted every February by Michigan State, these matches are often previews of the semi-finals and final matches of Nationals. MSU and SVSU have played great matches at each of the last two Nationals, with each winner going on to lose to GVSU in the championship. This year, the MDC is the most competitive and wide open that it has been in my three years in the league. Even with an undefeated Grand Valley State team, each team has the talent and potential to take home the cup. GVSU Captain Kevin Bailey, along with teammates Aaron Terenzi and Austin Morley, recap the matches that have taken place after the New Year, and gear up for Nationals 2014 in April at OSU. Also: Kyle Peltier [GVSU #19] describes the Officials’ App. EAST LANSING – IM WEST: GVSU goes 3-0, SVSU 2-1 MSU 1-2, CMU 0-3 in the 2013 Michigan Dodgeball Cup, the oldest collegiate dodgeball tournament. 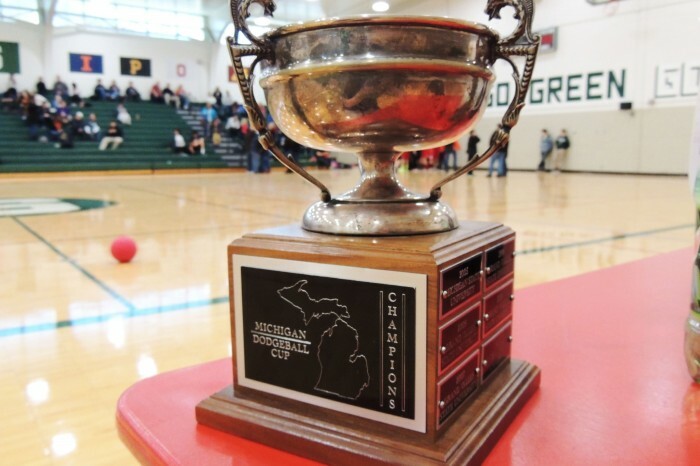 The Cup has been consistently hosted by Michigan State Dodgeball since 2005, the 2013 MDC has been the 9th event of that name. Check out the final scores after the Jump. Can’t wait for the clash between Michigan’s elite dodgeball teams? Here’s a peek at what to expect from the MDC. Round 2: Pool A winner vs. Pool B winner (championship), Pool A runner-up vs. Pool B runner-up (third place game), Pool A third place vs. Pool B third place (fifth place game). The three time defending champions have a target on their backs, and they plan to keep it that way. “I think that after a track record like we have had over the past years any team would have a bullseye on their back,” Laker captain Alex Soukup said. While they haven’t played a game since November, the Lakers hope that their practices have kept them fine tuned for the tournament. “I think with the type of practices that we have, and the fun moments in each the momentum keeps rolling,” Soukup said. “I think for us to win we need to stick to our game plan each game and work as a team when needed,” Soukup said. Needless to say, GVSU won’t count their chickens before they are hatched. “I also think with the hype between all the teams this year and the close games we had last year at nationals with Delta, and this year with SVSU has shown just how much better the league is truly getting,” Soukup said. Saginaw Valley State University hasn’t seen the court since being upset by Delta College 3-1 on Jan. 18. The Cardinals hope to get rid of the bad taste left in their mouth on that day. “We’re definitely going to go over some stuff in practice and we will work a lot harder and be ready for it,” SVSU captain Bryan Janick said. Despite coming off just their second loss of the season, the Cardinals claim that they should be mentioned as one of the favorites in the Michigan Dodgeball Cup, especially if they can reclaim the magic the team had in the fall semester where they won the Kentucky Dodgeball Classic. If SVSU wins, what is the reason? “If we play as a team (we can win),” Janick said. And if they don’t win, what is the reason why? “There is no don’t in this one,” Janick said. The second year club only has one win since beginning play in the NCDA last year. That win was over an Oakland University team that isn’t even in the league anymore. Despite this, the Chippewas hope to have a good day at the tournament. “One goal, as always is to have fun and win some games,” team captain Kevin Flynn said. Flynn bases his team’s success and failures on two simple principles. “If we win we will have to play smart, all 15 on the court,” he said. If the Chippewas can lay off the adult beverages for a night, Flynn believes good things can happen the next day. “I know we will (do well,)” he said. Only a few weeks ago rumors were swirling that Delta College might not even have a team this season. Now, the discussion is just how good are these guys? The Pioneers have nice wins over Bowling Green State University, and Michigan State University, but their big win came on Jan. 18 when they beat second ranked Saginaw Valley State University 3-1. “I don’t expect us to lose a game all season,” Delta president Dave Halloran said. Though, despite his confidence, Halloran does see a scenario that could lead to his team coming up on the short end. “If Delta loses, it’s because we got outplayed by a team deserving of victory,” he said. And if the Pioneers are the ones holding up the trophy at the end of the day? “If Delta wins the MDC, it’s because we played together, listened to our leaders who know the game inside and out, and didn’t do anything stupid,” Halloran said. With an unblemished record heading into the day, the Pioneers look at themselves as one of the favorites to win it all come Sunday. “We will have the most momentum of any team there,” Halloran said. 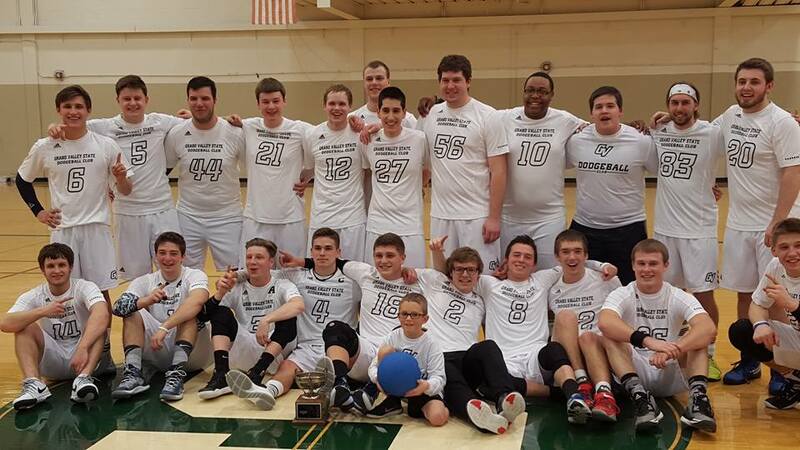 The winners of the original Michigan Dodgeball Cup hope to get back on top of the tournament. While their three losses are against other Michigan teams, they hope they can get back to the way they played when the won all three of their games while at the Kentucky Dodgeball Classic. “In order to retake the title back we need to make sure we work at a team, play smart, and try to focus on catching over dodging and gunning people out,” Michigan State president Mike Youngs said. Youngs, who is also the one behind the scenes, running the tournament looks at the MDC as one of the best tournaments of the season. As for taking down three time defending MDC champions Grand Valley State, Youngs has a plan. “I personally think that taking down GVSU will take good defense, covering for your teammates, being able to run with them, and not being afraid of getting in front of one of their shots and try to catch them out,” he said. The Hawks have only played one game in their brief tenure in the National College Dodgeball Association. That one game was a record setting loss to SVSU. That being said, Henry Ford is still getting their sea legs in the league. “Henry Ford’s goals going into the cup are to get some wins,” Hawks’ captain Kris Wright said. While hoping for wins, Wright realizes they will be hard to come by. “We need to learn teamwork, communication, and strategy,” he said. Helping in their cause to get ready for to get ready for the tournament, the Hawks scrimmaged against Central Michigan University last month. “Going into our first tournament, we should start to get a hang of what competitive play is,” Wright said. So where exactly does Wright see his team finishing? “If we go in there like we did against SVSU, there is no way that we will win,” he said.